SEO has changed quite a bit since I first started in this business. Not that long ago ranking a site was much less challenging and could usually be done by following a defined method of keyword usage and on page techniques that even without any back links could actually earn you a top spot. Inevitably times have changed. Competition has become more fierce and Google has gotten wiser. Tactics like keyword match domains and strong on-page SEO can no longer by themselves get you on the first page, much less the first 3 or even 5 results. Buying links is a big risk most aren’t willing to take and for good reason. Website owners are left with only 1 option and although it is one with more blood sweat and tears invested, it does after all deliver a better product for searchers. What does this mean for you? It means if you have a business idea and want to create a website for it and you want that site to rank in search results, there is only one way to do it. Make it awesome! Especially the content. There are no shortcuts left. No money you can pay someone to game the search engines. Further, you cannot acquire false popularity via links formatted with anchor text that point at your site. Original and Authentic are the two best words to describe how to rank in 2016. Get busy this isn’t going to be easy! Paying for content writers is even difficult these days. Nobody knows the ins and outs of your business like you do. Hiring someone to manage the content within your organization is a great way to use your marketing budget. Task them with creating a content calendar and collectively as a company, come up with topics to fill up a month. Make various team members responsible for contributing on any topics that they’d be best at providing expert information on. Hiring content writers and telling them to write articles on legal consulting isn’t going to work. You have to provide them with the guts of your business, or assign someone from within who can derive great topics from your business model. Put heavy emphasis on making the content on your website excellent and your chances will increase greatly of obtaining a top spot in search results. Start catering to website visitors who are perusing your website. Since this is also in line with who google cares about, you can only gain by putting extra effort into creating the best experience for the user. There are a variety of ways to enhance the experience on your website but it starts with a well structured site. Place important content so it is easy to find. For example, don’t make someone search endlessly for contact information on your site because you have a rather impossible urge to be different. Or because you are trying to increase the “Average time on Site” metric. Focus on ease of use for your visitors, so they leave with a desire to return again sometime. Put thought into the information you put on your website. Make it rich with information and helpful to someone looking to learn something about your business. Canned content or content that can be found on other sites on the web is not valuable information. If you use content from another site, be sure to cite that either by creating a footnote, bibliography or other credit-worthy notation. Providing a “Do Follow” link to the site where you took the information is imperative. Without giving proper credit to the original author you could be asking for trouble and it’s the kind of trouble you don’t want. Trust me. Purchasing a security certificate is money well spent these days. Protect your users and their content by hosting a secure site regardless of whether or not you have a payment gateway that requires it. Make every page secure! Okay so up until this point, everything has probably made sense and you’d probably have a hard time arguing that the above features do not create a better experience for the user. But then there is this. Local citations. The accurate listing of your business on a bunch of low-grade directory sites that nobody actually visits to find your business. The best I can offer is, just make sure it’s done. There are many websites that provide this service for you just do some research, pick one and get er done! But remember, if your business moves, or changes any part of its name- large or small, be sure to have them all redone and pay for it all over again. In case you thought this move to a new location was going to be cheap- think again. Are you scratching your head? Me too! This is snippets of a page or post that provide useful information to a searcher in search results. By marking up areas of your page, you can increase the chance that these snippets will be included in your listing in the SERPS and may increase the click thru rate (CTR) of your listing. This is not an easy task, and if you don’t know where to start, start researching creative strategies for acquiring them. There are many out there who provide some excellent ideas you may not have thought of. Do some guest posting on other websites with a commonality to your business. Taking the pressure off of website owners even once in a while is generally a welcome offer, especially if you are able to provide a perspective their readers would find interesting. Be sure to discuss what’s in it for you ahead of time and ensure the site will adhere to placing a link back to your site from theirs. You could even craft an article and present it when you first make contact with them. This gives them confidence that your writing skills are up to par and something they would feel comfortable placing on their site. If you have a site(s) in mind you’d like a backlink from, be sure to check out previous content they have, and/or what type of content would add value for them or a different perspective they haven’t yet featured. This helps you to also avoid writing a piece similar to one they have already featured, to avoid being turned down on your offer. While link exchanges aren’t quite as valuable, they may still be an option to consider, especially if the link exchange is with a popular site with more authority than yours. Another great way to create links back to your site is to answer questions within your field of expertise on other sites like Quora for example. 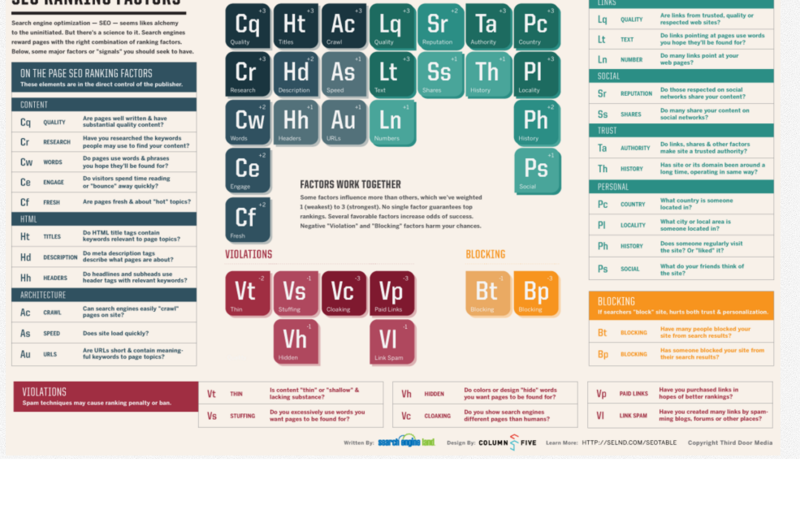 Check out this slide shared by Search Engine Land which lists all the SEO optimization factors for Ranking in the SERPS. It’s all inclusive and an excellent source for reference. WHY SEO? DO I HAVE TO? Think of SEO as the foundation of digital marketing. It is where everything is drawn from and where everything comes together. It is the core of ALL your strategies. Why? Because it is the home of your keyword. Keywords are a universal point of reference on the net and in other marketing strategies such as pay per click. A website is where we tie all of our efforts in other places on the internet, together. Through the continued use of our keywords with our brand, it seeks to also help search engines make that connection. This is why it is important to continue the use of keywords within social groups, or any other places you peruse on the internet. For example, when you sign up for Twitter they ask you to write a short bio or description. This is an excellent place to include your main keyword(s). Also known as “offsite SEO” these strategies seek to strengthen on site marketing but are performed in other areas of the web. Later when search engines crawl the various social sites like twitter, your keywords and brand are also crawled (again). This helps search engines to start bridging the gap and confirm that connection of your keyword with your brand. From an SEO standpoint this is your main goal. You want your keyword to be synanamous with your brand because until that happens you are just a spec of sand on a very large beach. You will know when search engines have made this connection because you will rise to number 1 in search results. While this is a fairly strong argument indicating the importance of SEO, it isn’t the only one. SEO starts from the very beginning of a website’s conception. Although SEO can later be implemented, at times it can be difficult, requiring so much reconstruction one would virtually need to rebuild an entire new website to make it SEO friendly. With that in mind, having an SEO specialist working with the programmer and web designer to make sure all of the necessary SEO components are built into the design and the text is optimal. Although due to cost, this approach isn’t always possible, it ensures you will end up with an SEO friendly website. The general design of the site can be a critical feature on the readability of your site by the major search engines. Though sites programmed with flash animation tend to be eye catching they originally were unable to be indexed by Google. So they were eye catching if you could actually find them. A recent article put out by Google states of an improvement in their search engines ability to read flash animation but not something I would even risk if your goal is to be found in the search results. Despite the good idea to leave flash animation out of the body of the site having your header with such programming adds a similar appeal yet remains SEO friendly. This is just one of the many things to keep in mind while building an optimized site. Another factor of SEO that can be incorporated into web design is the ALT image Tag feature. Here the web designer would enter a keyword within the programming of each graphic that appears on the page. This lends additional opportunity for keyword instances that attract search engines for user search. Because this is not easily done by an SEO Consultant after the site has been completed and most often requires the assistance of a web designer it helps to instill these features during the initial construction. Keyworded urls are also an important feature for SEO. Sometimes this offers an excellent opportunity to drop keywords/phrases in for added optimization assuming your domain name has the keyword in it and if it doesn’t this feature is especially important. Let’s look at an example of a keyworded URL and how we can maximize keyword usage. Remember any link that has our keyword in it is worth twice its weight a keyword. So let’s say the keyword is “Button Jewelry” the domain name is www.uniquebuttonjewelry.com/ and one of the pages on her site found by clicking on the navigation button that says “browse our shop” has a url that looks like this www.uniquebuttonjewelry.com/buybuttonjewelry.html The keyword “button jewelry” has now appeared twice within the url and although by itself may not lend much weight in terms of optimization, when used in conjunction with the many other urls for your website this can have a strong affect on a sites performance in the search results. Often times ranking can be a difficult task especially if our keyword is a competitive one. Here are some ideas to lower the competition and still get your desired result. Now assuming all of the other page elements of SEO are present including keyword within in the content writing, links and other basic SEO factors already exist, it is time to start writing city pages. City pages are designed to focus on a smaller market share and compete within a particular city instead of your current national market you have been struggling in. Often times a business such as a doctor’s office will likely already compete locally because his clientele has to be within a certain number of miles to make them a relevant market, however for someone who either sells something on line or sells something which does not require face to face with its consumer then the market is endless. For example someone selling seo services sells nationally because most of the time all communication can be done over the phone or email. Someone selling babysitting services would only be competing locally within their city of residence for similar obvious reasons. They physically could not babysit for someone outside of certain range of distance. When we compete on a local level versus a national one, our competition is greatly reduced and for obvious reasons, much easier to achieve the desired ranking within organic search. If you are currently competing nationally and are struggling, my advice to you is: break your market up and begin competing in smaller sections. How is this done? It is rather simple actually. Here again is where content writing proves to be king. Start writing content using your keyword with the city of designation so for example my keyword may look like this: SEO Services Phoenix or Phoenix SEO Service. Then proceed to write content using this keyword as you would normally for optimization. Your metas for the pages would be something like this: SEO Services Phoenix | Get Seo Services Phoenix…… Now so as not to also disturb you current content where you would like to still compete nationally, place these pages in the footer of your site as links. Don’t forget the opportunity here to keyword your link!!! 🙂 Keep writing them for each city or state that you would like or until you are satisfied with the results and amount of traffic to your site. You can never do too much!! 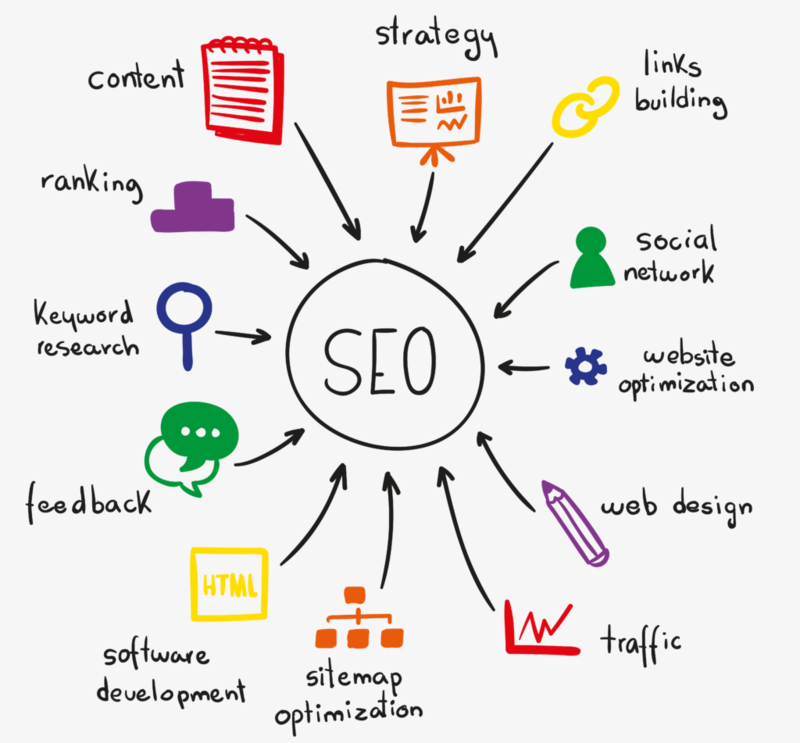 *SEO Strategies Change Frequently and if you are Looking for Articles Regarding SEO Please Visit the Most Recent Article. Thank You! THE PREFERRED RANKING #1 OR 2? When people think SEO most of them immediately think about search engine placement, and keywords. Ranking number 1 in Google’s search results whether implied as a campaign strategy or not is most always a goal in an SEO campaign and typically search engine placement as the number one spot is weighted most heavily because from that superior ranking we assume sales for the customers, or exposure, or popularity. Whatever goals the customer may have for their website can and will be achieved in googles first spot! If even 40% of individuals habitually pick the 2nd or 3rd result in Google or Yahoo, or MSN, this will bring up a very interesting question about search engine placement. Is the first spot in Google the best one? I actually pick that result last after not finding what I am looking for with the other results on that page. A close friend was also quick to retort of her same habits and in fact was also fully aware of why she did it. She stated that usually the first result is not what she is looking for. I think she probably has the same affliction as I, obtained as a shortcut from inferior search engines and possibly inexperienced web marketing efforts. The first result today listed in Google I am confident would fit your search term most accurately most of the time as would the second or third. So what search engine placement, gets the most clicks? We need a program that collects those results in case anyone is looking for a project?